Wrongful Death Negligence Compensation Claims Amounts How Much? A wrongful death claim is when a person is liable for the death of another due to their negligent conduct. The claim can be pursued by close family and is considered a civil matter. The Fatal Accidents Act of 1976 means that a spouse, civil partner or a parent of a child who is under the age of 18 can pursue a claim for wrongful death. In regards to wrongful death due to medical negligence this happens when a health care professional neglects their duties and provides a service that is below the expected standard and as a direct consequence causes the death of their patients. It is possible to make a claim for compensation under the Compensation Act if the deceased person had a family, children under the age of 18, a spouse and provided financial support, compensation is also availble if the deceased cared for another person and altenative care has to be paid for. There is no amount of money that can actually compemsate for the loss of a close relative but the financial support that is provided is to ensure that you are not out of pocket due to a traggic incident that was comploetely out of your control. The compensation that is awarded is also to ensure that the family go on living a life they are used to and that they are not affceted financially by the death of the family memebr. If a person dies as the result of a negligent act by another person or person’s then it is up to close family and beneficiaries to pursue a case for wrongful death negligence on the behalf of the deceased. Being a leading law firm in the area of negligence and medical negligence means we are well equipped to deal with cases of wrongful death caused by the negligent act of others. We have specialised medical negligence solicitors who have decades of experience dealing with many types of negligent cases ensuring that each client receives the maximum amount of compensation that they deserve. Those that pass away due to the actions and behaviours of others are no longer here to have their case heard and bring to justice those responsible for causing their death so it falls on the shoulders of their family to bring those accountable to justice. If you are unsure whether there is a case of wrongful death to be answered why not receive a free and confidential consultation from one of our expert solicitors who will be able to briefly examine your case and advise you on the most appropriate steps to take. It is important to say that at no time are you at any obligation to appoint us as your legal representation we offer a free consultation so that you can have you case looked over before entering in to any legal litigation. If you would like to speak to one of our medical negligence solicitors regarding a case of wrongful death why not call us on our free phone number on 0151 5505 262 or alternatively you can fill in an online contact form where you can leave some contact details and a solicitor will get back to you at a time that is convenient to you. We deal with all cases of negligent claims on a No Win No Fee basis meaning that at no time are our clients at any financial risk. No Win No Fee agreements have changed since April 2013 in as much as clients who are successful in their case now have to pay their legal teams up to but no more than 25% of their compensation awarded, however if the case does not succeed the client does not pay any moneys to either side, at no time will the client have to pay anything from their own pocket. The level of expertise we have at the firm means that the client is given a service that is next to none. 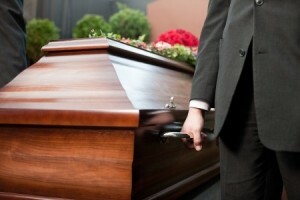 Wrongful death occurs is when a person’s life is taken as a consequence of wilful or a negligent act of a third party. 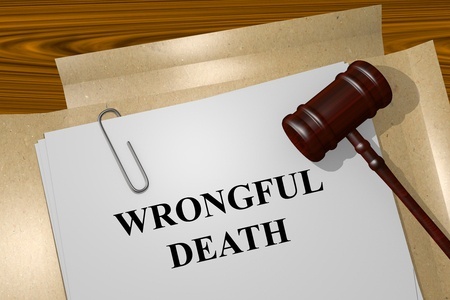 Pursuing a case for wrongful death is different from criminal charges, a person who is acquitted in a court of law may still be pursed in a civil court. Wrongful death statues were introduced so that loved ones who were left behind could be provided for and those responsible for the deceased death should be investigated. There are two types of wrongful death those that are caused intentionally and other incidents that occur that result in a person’s death but that was not the intentional outcome. What best describes an intentional act of wrongful death could be a person attacking another and causing their death through injury where as an unintentional act of wrongful death could be an act of medical negligence, a negligent act conducted by a medical professional which results in the death of a patient. If a person causes another’s death whether it may have been intentional or not then may be liable to be pursued for wrongful death by a member of the deceased’s family. Who can Sue for Wrongful Death on the Behalf of the Deceased? In the case of wrongful death the closest relative may make a claim for negligent death on the behalf of the deceased. The decedent’s relatives are allowed to pursue such a case so that they do not suffer financially due to the death of a loved one. The funds generated by such a case are also there so that any pain and suffering may be eased and any mental suffering may be kept to the minimum. Wrongful death in terms of medical negligence occurs when a medical or healthcare professional provided health care that was of a sub standard level and has acted in a way that has resulted in the death of the patient. Medical negligence is the omission or act of a health care professional that the service provided was not of the standard set out in their code of conduct and as a result they have breached their duties and have acted in a negligent way causing their patient further illness or injury as a direct consequence. If medical negligence occurs and the patients passes away as a result then the health care professional or trust they are employed by maybe liable for a medical negligence law suit. A family member may pursue the claim for wrongful death due to medical negligence for damages which include; pain and suffering, mental state, future financial matters etc. Pursuing any type of compensation claim is always best left to the experts as they have a network of knowledge and experience in dealing with such cases and can secure you maximum compensation. When a family memebr dies in such traggic circmstances such as a wrongful death making a claim is probably the last process you want to enter in to but in fact by appointing us as your legal representation will mean that we deal with much of the work that is necessary and only needing a little input from yourself. We can offer immediate assistance to those who need a solicitor who specialises in wrongful death. The first being a wrongful death case which would be pursued by the immediate family in the case a patient dies due to the negligent act of a health care worker. The family will make an argument that the deceased died as a result of the medical service that was provided by the health care worker, that the manner in which the health care provider conducted themselves was of a negligent nature and the patient should never have been subject to such poor treatment. If it can be proven that the health care worker acted in a way that another wouldn’t then they can be held accountable for their actions. It is important to say that this type of claim is not to claim for the injuries suffered by the deceased or to claim for how the deceased passed away but for the pain and suffering of the family and also for damages that the family has or may incur. The second type of claim that can be claimed for in the tragic event of a wrongful death due to medical negligence can be the survivor claim. The family need to make a case that the deceased passed away due to the negligent behaviour from the health care worker providing supporting evidence in terms of other medical staffs that the patient’s death should never have happened and would not have happened under the care of a different physician of the same capabilities. Funds should be awarded in terms of compensation for the pain and suffering the patient incurred due to the negligent treatment regardless if they are still alive or has passed away as a result. The health care worker who is responsible for the deceased death should still be liable and held responsible regardless if the patient survived the negligent treatment or passed away and the appropriate damages should still be paid by the hospital or doctor in question. What can be claimed for in a Wrongful Death Claim Case? The most common damages that are awarded are those of the loss of financial support that was relied upon by the deceased family. If the deceased person was the main financial provider for the family and they relied heavily upon the financial support provided by the deceased then they would be at a great financial disadvantage if that person was no longer present. It goes without saying that the pain and suffering that is suffered by the family when a person passes away due to wrongful death far outweighs the missing financial support but in order for the family to continue living in a financial state as before such compensation is needed. The court will also award damages for any funeral and medical expenses incurred so that the family are not out of pocket. If a person passes due to the negligent behaviour of another then they have died a tragic death, a death that could have been prevented and should have never happened in the first place. If a life is taken due to the behaviour and manner of another then both the victim of the wrongful death and their families will suffer greatly and in some instances the court will go as far as awarding families for grief, loss of services and companionship. Actually calculating the amount of compensation that should be awarded to the family of the deceased can be quite difficult to calculate and have different variables. In terms the family receiving the same type of financial support they would have if the deceased would still be alive the court would calculate how much in term of moneys the deceased would have earned and times it by the number of years they would have continued working for. Medical and Funeral expenses plus other immediate expensis associated with death. Inheritance Loss caused because of the untimely death. Loss of care & protection for the companionship to the family members or survivors. Loss of earnings and projected earnings by the victim for the future until retirement age. As each and every wrongful death case is different estimating how much a person would receive would be quite difficult without investigating the case and bringing together all the different variables of the case. No two wrongful death cases are ever the same and the amount of compensation awarded will be different for each case. However it is possible for our advisors to give you a rough calculation of how much compensation can be claimed for wrongful death clinical negligence cases. Pain and suffering Every type of victims pain suffereng is unique and a lot can be agonizing pain. £1,000* £200,000* Or More This can be calculated by the amount of pain and how long the pain lasted for. More Information on Medical Negligence.